Sportswear brand Adidas has launched a shopping app that is tailored to the customer by learning their preferences, behaviour and interaction across the app. 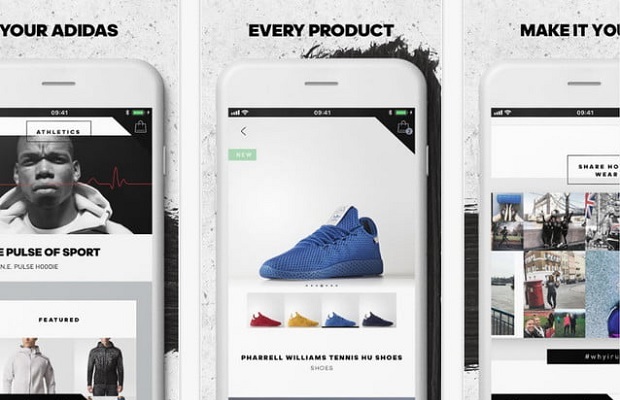 Until now, Adidas has lacked a mobile shopping app of its own. The direct-to-consumer platform is available on Google Play Store in the UK and US, with the brand promising to roll it out more widely in the first half of 2018. The app is powered by Salesforce’s commerce, marketing, and service clouds and offers consumers access to Adidas’ online store products and provides them with customised recommendations, personalised articles, blog posts, videos, and real-time updates about sports, athletes or products that interest them. To pay for items on the app, customers can use tap to buy through either Apple Pay or Android Pay, or pay by card. Once a purchase has been made, the customer can track their order, and chat with customer services regarding it. Users are also expected to eventually be able to login with their Runtastic fitness tracker community account. The app is currently available to download through both the App Store and Play Store in the US and the UK. Adidas says it plans to roll out the app in more countries through the first half of 2018.